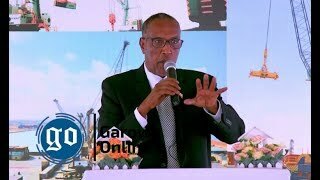 GAROWE, Puntland - In this report, GO takes a closer look at the timeline of Garowe Airport Construction and the main obstacles ahead for the completion of the project, Garowe Online reports. Multiple sources from the construction firm revealed to GO that the current funds in hand is not enough to meet the needs for the construction work, and could result the Airport not to deliver international standard services. 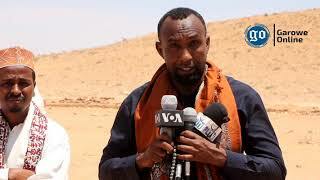 The report focuses on three important requires, in which the company sees as necessary issues and has called on Puntland government and the public to back up the existing financial shortages. This has emerged after Kuwait Fund, which donated funds for the first phase of the project, did not release the expected funds to finalize the work. However, people and elders from Nugal region are making joint efforts to keep the Airport construction development intact. Despite this, the firm believes that the people and government can cover the needed funds estimated to amount to $600,000. According to the company, $376,000 will be spent for the Airport Runway marking, which $ 296,000 of these funds will be used to purchase equipment that will be used for marking the runway. 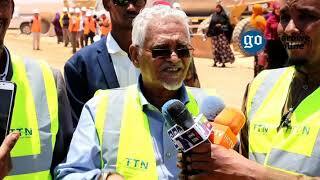 The Turkish-owned firm running Garowe Airport has donated 80,000 USD of these funds that was allocated for the employees working in the construction project. This is the most important part for the Airport and without it will be difficult for airplanes to identify the landing and stop sites. It facilitate for the pilot to clearly see the runway. Also without this part, it is difficult for the highly protected jet aircrafts to touch down at the Airport. However, if thing goes just like this, only big airplanes with high bypass fans will be able to land. The airport has currently a terminal built by former Puntland government, before the ongoing construction project was launched. The company says that the Terminal cannot be used as it is now, but needs to be reconstruction and refurbished with new equipment. "The Airport cannot function with this terminal, as it is intended to be a world classic, there is a lot of things to do, including improving the passage of passengers, look now this dust and it is not good atmosphere, the modernization of the airport is very crucial," said an official from the firm constructing the Airport. "it is important to decorate the Terminal Front, background and the frontward to become more attractive to those coming to the airport," he added. The road connecting to the highway needs to be reconstructed and side-decorated with plants, according to sources at the airport-building firm, speaking to GO on condition of anonymity. "In order to construct the road between the airport and main highway, an amount close to $ 200,000 would be required and the project could be launched right now," said the official. The company has warned against delay of funds, that could obstruct the deadline to complete the project, and called again for swift action to support the construction work. The report identifies that a car parking lot is vital to be built in parts of the Airport complex, to meet the standard, as mentioned by the firm undertaking the project. 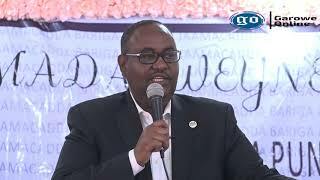 Finally, the company has praised the commitment of Puntland government, businessmen and people of Nugal region, calling them again to continue the self-reliance initiatives build their nation. 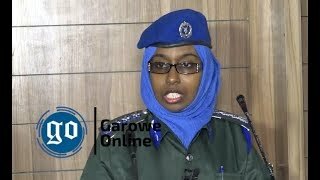 Garowe airport project, which began in February 2016 is expected to be finalized by the end of this year, a move that has been greatly welcomed by Puntland people, who had been facing challenges with air travel. The new improved Airport will boost trade and tourism in the state as both Bosaso and Garowe airports will now have the capacity to handle more flights and passengers.